This hose replaces the standard diverter hose that comes with the countertop unit, and filters out higher than average levels of dirt and sediment particles, reducing the amount of sediment that enters the main filter unit, and therefore reduces the risk of clogging. 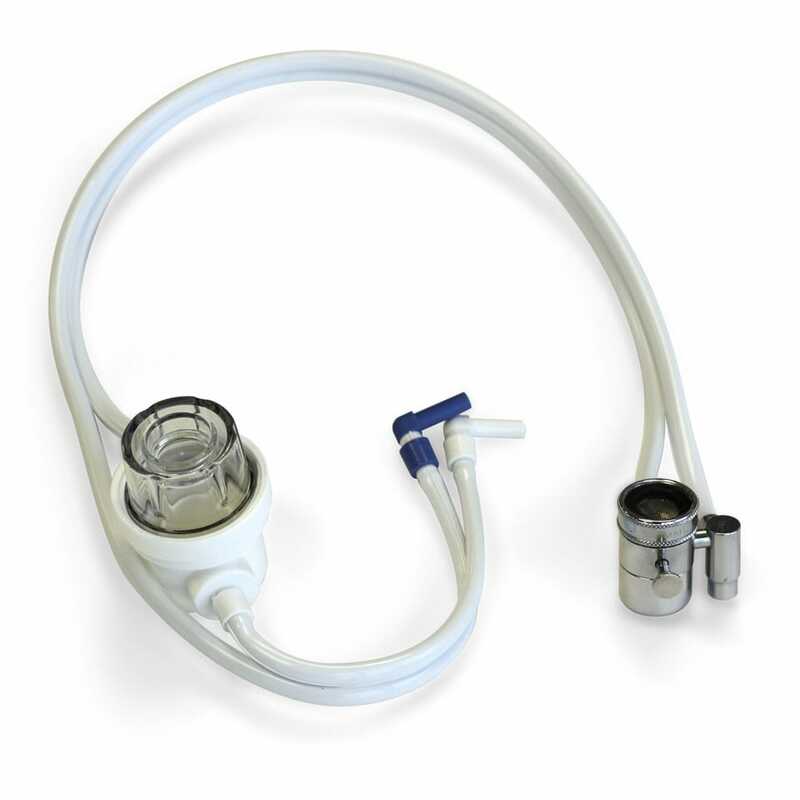 Diverter Hose w/ Pre-filter Assembly is rated 4.6 out of 5 by 14. 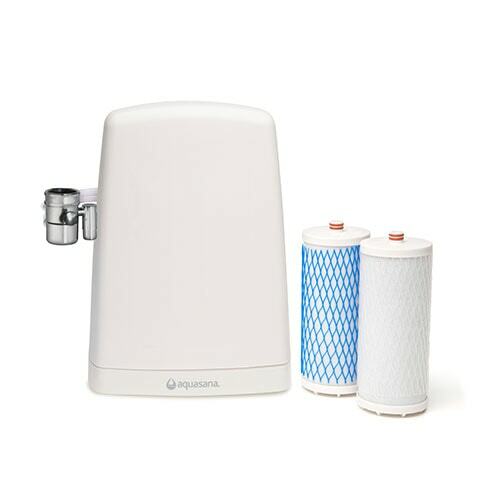 The diverter hose with pre-filter assembly houses the sediment pre-filter for the AQ-4000 countertop water filter systems. This hose replaces the standard diverter hose that comes with the countertop unit, and filters out higher than average levels of dirt and sediment particles, reducing the amount of sediment that enters the main filter unit, and therefore reduces the risk of clogging. How do I know if I need a pre-filter? If your water flow slows down significantly or stops completely before your filter cartridges are six months old, you likely have a sediment problem. You should be getting .4 gallons per minute from a correctly flowing filter set, and if your filters flow significantly less than that, we recommend you use a pre-filter. 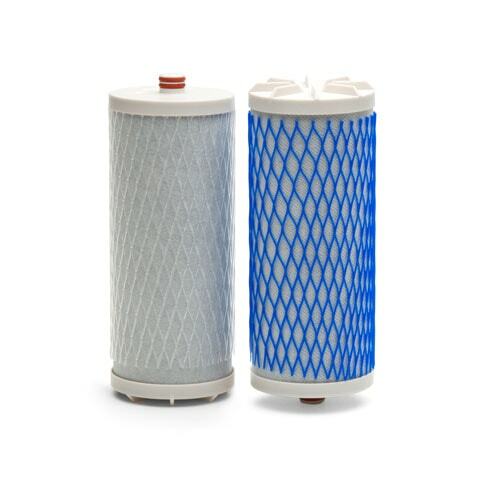 The replacement filters for the sediment pre-filter are the Diverter Pre-filter Cartridges. Rated 5 out of 5 by Jane from really useful This can really filter out the sand in the water! 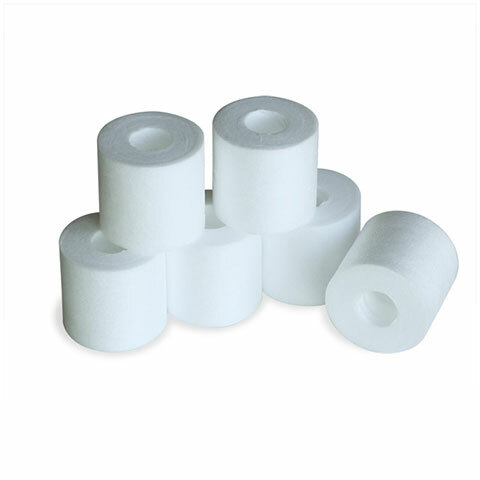 very useful to extend the filter life after it. Rated 5 out of 5 by Rob is always t from Great Addition! Spoke to a representative and the discussed the diverter with the pre-filter.|I Mentioned that I have Well Water and have had some sediment issues.|The nice lady I spoke to told me it would help in making the Main filters last longer.|I'm glad i did.||After first use, I noticed how brown the pre-filter got and was glad I purchased it. Rated 5 out of 5 by Rob is always thirsty! from Great Addition! Spoke to a representative and the discussed the diverter with the pre-filter. I Mentioned that I have Well Water and have had some sediment issues. The nice lady I spoke to told me it would help in making the Main filters last longer. I'm glad i did. After first use, I noticed how brown the pre-filter got and was glad I purchased it. Rated 5 out of 5 by westghost from The diverter solved the problem Works as we expected. Does the job and increases volume and speed of refilling jugs. 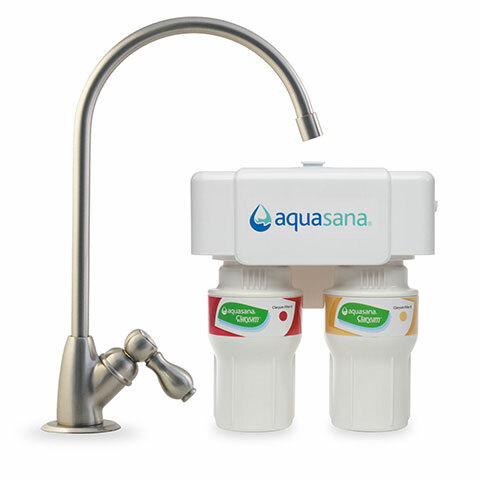 Happy that Aquasana had a solution.